”That’s it,” the check-in clerk smiled. It seemed too easy. I had arrived at Helsinki-Vantaa airport in good time and found no queue. My suitcase weighed in exactly on my allowance. Something more seemed necessary. This was, after all, my first round-the-world trip. In my bag were a Finnair ticket from Helsinki to Helsinki (via 14 stops), confirmations of hotel reservations in cities around the globe for the next two months, and a set of vouchers for special tours that I really didn’t want to miss. All booked and paid for from the comfort of my own computer. It had all started from the Finnair home page. Here, the world is literally at your fingertips! The cost of a round-the-world ticket is largely decided by the number of continents on the route. My choice was a four-continent itinerary covering Europe, Asia, Oceania, and South America, which cost 2,730 euros including taxes. Starting from Helsinki, it seemed sensible to make the journey eastwards. I was encouraged in this by the idea of gaining a day rather than losing a day when it came to crossing the international dateline. Furthermore, travelling in the same direction as Phileas Fogg in the classic Around the World in Eighty Days got me into the mood for a grand tale of circumnavigation. I couldn’t wait to get going! My first stop out of Helsinki was Japan. To get a feel of the more traditional sights, I opted to stay in Kyoto, a ninety-minute train ride from Kansai International Airport. To enjoy the southern hemisphere in the bright beginning of spring, I risked scheduling my Japanese leg for the hot season. The near saturation humidity was uncomfortable away from good air-conditioning, but not a reason to lay off the sightseeing. 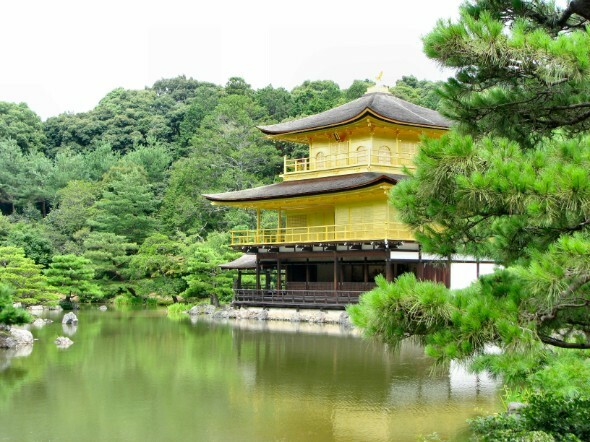 Many of Kyoto's treasures, such as the gleaming lattice-work of the Golden Pavilion (Kinkaku-ji) and the vibrant reds of the Heian Shrine, both set in classical evergreen gardens, are weather-proof in their beauty. The eighth-century Japanese capital of Nara is also within easy reach, with its imposing Todai-ji temple and lantern-bedecked Kasuga shrine. And who can resist the shinkansen, the bullet train? One route runs through Kyoto to Hiroshima, where I found the stillness and solemnity of the Peace Memorial park and museum, and the ferry to Miyajima. The unfairly picturesque waterside shrine, gate, and five-storey pagoda all contribute to one of the proclaimed three most scenic spots in Japan. An earthquake woke me in Kyoto early on the morning of my departure, but disruption in the Osaka area was minimal. I boarded the airport train regretting the sights that I had missed, but deeply grateful for the kind hospitality of the Japanese people, always eager to help. However, my journey had only just begun. Any arrival in Hong Kong must be spectacular. But after dark, with the lightning from a passing storm flashing in the clouds and the lights of untold numbers of skyscrapers towering overhead, it felt like science fiction. 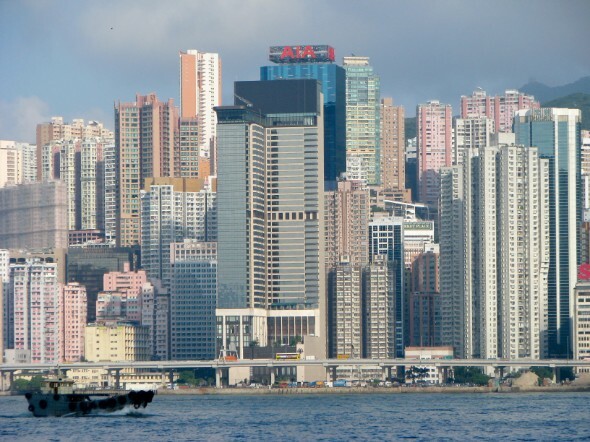 Hong Kong harbour must be one of the most photogenic cityscapes in the world and gives its best whatever the weather. This was the typhoon season, and wisps of cloud drifted among the buildings on Hong Kong Island, making it seem that apartments had been built all the way to heaven. The tram to the Peak takes you level with the highest penthouses in the city. Here, a swarm of dragonflies buzzed around my head as the clouds gathered again and the bustling metropolis stretched into the distance below. At ground level, an abundance of experiences await. Many of these are based on or around water. From a sampan chugging among the houseboats in Aberdeen harbour, I peered up at the seemingly never-ending wealth above. Later, an evening boat ride took me beyond the harbour to one of the many fine seafood restaurants on outlying Lamma Island. Further north, where I joined one of the frequent day trips to Guangzhou in mainland China, the tour included a Cantonese lunch and the inimitable on-board commentary with added driver jokes. Flying south, my first impression was that Singapore resembled a downbeat version of Hong Kong. That was not entirely fair. Singapore may not obviously display the same constant, teeming thirst for life, but it certainly appreciates the finer things in life. Singapore Zoo, for example, is a remarkable effort to create an apparent animal paradise, with as few cages as possible. Members of staff take obvious pride in this. You can enjoy a buffet breakfast alongside the orang-utans and get up-close and personal when it is time to bathe the elephants, not to mention taking a night-time safari among the big cats. 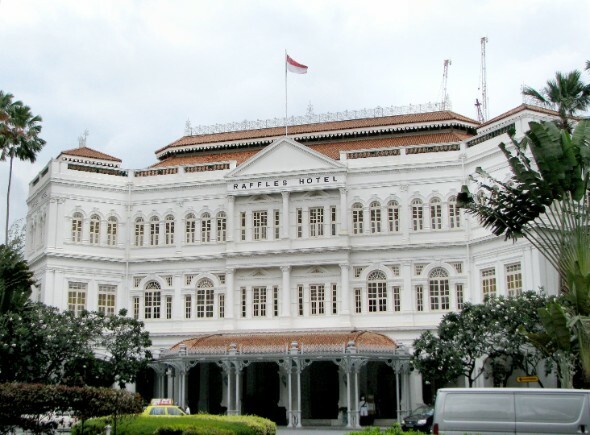 Then, of course, there is the world-renowned Singapore Sling cocktail, to be enjoyed in the peanut-shell-strewn imperial grandeur of the Long Bar at the Raffles Hotel. And another tip: if you want to find Singaporeans in the city, look in the clean, air-conditioned maze of underground shopping alleys. It gets far too humid at street level. For all its virtues, Singapore measures up at only 710 square kilometres (274 sq miles), so for a road trip, it is necessary to look to Malaysia, just next door. My day trip to Melaka was well worth the effort: shopping for trinkets on Jonker Walk, admiring the colourfully adorned cyclos in Dutch Square, and viewing the town from historic St Paul’s Hill. Soon, though, it was time to move on to the next continent. Perth, in Western Australia, is a calm come-down from the busy humidity of eastern Asia. This is the place, according to the city tour, with “the climate that California thinks it has”. Appropriately, it is convenient for a leisurely cruise along the Swan River to some of the best wine estates in Australia, and for the seaside air and fish and chips of Fremantle, a local train ride away. As a contrast, Darwin, in the tropical reaches of Australia’s Northern Territory, is populated more by backpackers. 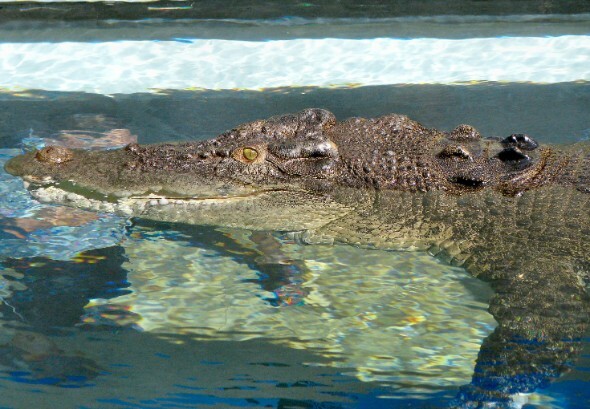 Even if you don't join them for a tour to see the jumping crocodiles, Crocosaurus Cove in the city centre gets you close to these enormous reptiles. The clear walls of the Cage of Death allow thrill-seekers to be lowered into the water alongside a fully grown salt-water crocodile. The lady watching with me explained that her son had bought this adrenaline rush as a birthday present for his sister. Pondering such acts of sibling love, I continued to my next stop, Alice Springs in Australia's Red Centre, for a more authentic taste of the Outback. Ever since owning a jigsaw puzzle of a map of Australia as a child, Alice had, to me, represented the height of exoticism. I had always wanted to know what it was like to be so far from anywhere else. August proved a good month to visit, with comfortable temperatures and, unusually in these parts, even a drop of rain. The scent of eucalyptus trees hung in the air, wild parrots perched on the branches outside my hotel window, and the lure of the didgeridoo proved irresistible. 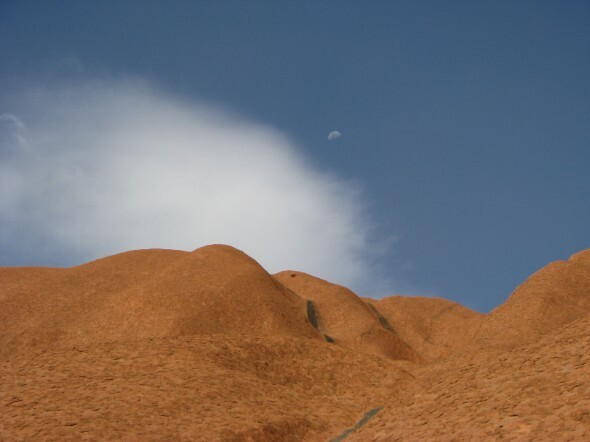 Most famously, perhaps, Alice Springs is within striking distance of the sacred Aboriginal sites of Uluru (Ayers Rock) and Kata Tjuta (The Olgas). It is a long drive, but day tours operate, and longer stays are possible for those with more time. The hours are well spent. The deep red rocks set against the intense blue sky prove hypnotic, and over the silence of the bush, the wind rushing through the canyons seems to call from ancient times. Stepping off the plane in Sydney after this was like being Crocodile Dundee in the city for the first time. Sydney is packed with things to see and do. The opera house and harbour bridge are an obvious first stop. In addition, Darling Harbour is home to the Sydney Aquarium, with walkways that let you marvel at sharks swimming just above your head, and to the Australian National Maritime Museum, with its working replica of Cook's ship HMB Endeavour. This being Australia, the city is not far from more rural pleasures. 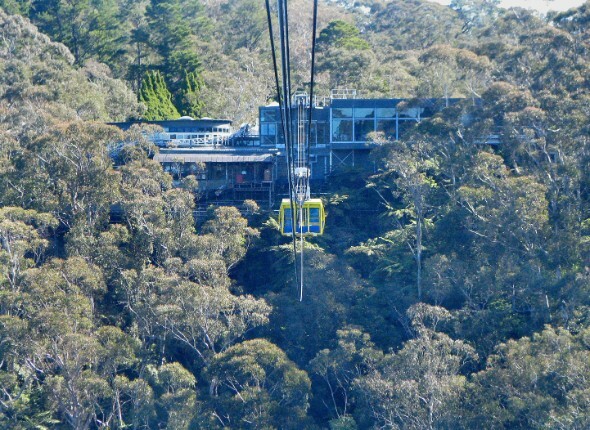 Scenic World at Katoomba, in the Blue Mountains, boasts a suspended skyway with glass floors for viewing the forested ravine 270 metres (886 feet) below; the steepest aerial cable car in the southern hemisphere; and the steepest scenic, or incline, railway in the world. Even the off-duty air crew who were my tour companions were slightly pale after this last one. It's an impressive hat-trick of rides set in the middle of a Jurassic rainforest – a mind-blowing tonic at the half-way point around the globe.